This cake is specially made for Chin Xin to celebrate her party with her friends this evening.... Only requirement for this cake is get it done by 14th Nov, no specific design, colour, etc... I can decide on anything ... hehe. Happy Birthday to you Chin Xin! 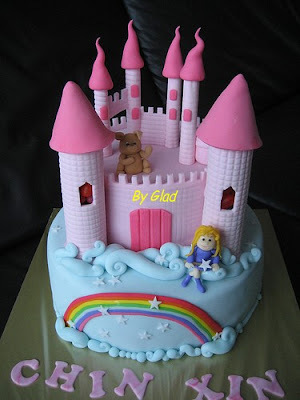 Hi your cake castle really look beautiful.